Every day it seems there’s a new report out about the benefits to mind and body of fresh air and exercise. For students, a perfect way to reap those benefits can be to walk or bike to school — if there’s a safe way to do so. The Mahtomedi School District is working to increase such opportunities in our community with the help of a Safe Routes to School grant from the Minnesota Department of Transportation. The idea to apply for the grant was brought to the school district by MAGI members and Davis Grilley, member of the Mahtomedi Class of 2014 and recipient of the 2014 MAGI Environmental Leadership Award. MAGI members also helped prepare the grant. The grant provides the school district with the use of nationally recognized Safe Routes to School consultants hired by MnDOT. The process will include community outreach and is expected to last about one year. The planning kicked off last week as consultants, district staff, several MAGI members and representatives from the consultants, school district, MnDOT, and local and county government met for two days to identify problems and opportunities for improving the viability of biking and walking to school. Participants reviewed aerial maps, discussed legal and logistical constraints and opportunities for Mahtomedi Middle School, Wildwood Elementary, and O.H. Anderson Elementary, and observed dismissal at O.H. Anderson. 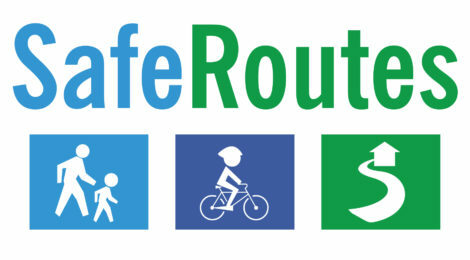 The next step in the process is for the consultants to provide recommendations for applying the “five Es” of SRTS – education, encouragement, enforcement, engineering, and evaluation — to make our community a safer and more enjoyable place for bicycling and walking. A report is expected in April. Like to learn more or get involved in helping to make our community more foot- and pedal-friendly? Email info@mahtomedigreen.org.